…As the tape passes through the head of the recorder it is 'read' and converted into music or other sounds. Thus magnetic markings are 'translated' into notes. When a 'tape' of mRNA passes through the 'playing head' of a ribosome, the 'notes' which are produced are amino acids, and the 'pieces of music' which they make up are proteins. Thus DNA as the base code provides the structural framework, thus the notes of amino acids are formed into are proteins or 'pieces of music'. This simple analogy explains very well the reason for DNA utilizing sound and vibration as its primary tool for building proteins into cells then into living biological structures. Music in its simplest form, as we know it, could be termed as 'The organisation of sound into a definable audible expression' and DNA employs this very principal to operate its complex and delicate genetic function. In fact, im sure you have heard of the term ‘Gene expression', Gene expression is the process by which information from a gene is used in the synthesis of a functional gene product. These products are often proteins which prove that the entire DNA system uses these 2 functions (sound and expression) as an aesthetic interpretation of its data. Wave genetics has successfully proven that without sound, DNA could not function and it is at this point that musicians and composers step in to provide an artistic expression to this data purely to bring these elements into the range of human hearing for a greater appreciation of the workings of creation. It really is like looking over a music score of life, the DNA score has an orchestra of players (amino acids) it has a conductor (Gene expression) and collectively the entire system communicates together to build the dynamics of sound and colour that combine together into a structured biological Symphony. Namely our bodies and all its constituent parts. In the same way as a score of Mozart is a sequence of instructions for violins and cellos to combine together into a symphonic expression, our genetic score is a sequence of amino acid's compiled in the DNA data and impeccably expressed into a symphonic structure. No wonder we are so close to music, form and structure. 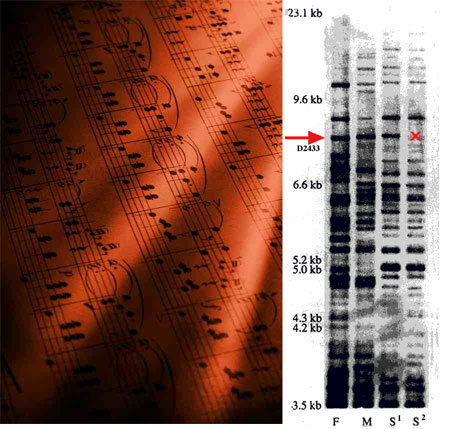 The idea that DNA and music might be connected originates 30 years ago with the work of Dr. Susumu Ohno, a geneticist at the Beckman Institute of the City of Hope Hospital in Duarte, California. Dr. Ohno has notated more than fifteen songs based on the DNA of a variety of living organisms. Dr Ohno's wrote about authentically connecting the DNA code to musical composition. So nature has already discovered that the principals of sound and sequence are the perfect tools to build biological entities efficiently, expressively and musically. All we have to do is understand and express its properties to benefit this language of sound and sequence that appears to have been composed a very very long time ago...but by who or what? For a musician the process is simple, the score already exists within ourselves and is there to be read and interpreted using simple genetic software, one can take a sequence of DNA data directly from an internet database, translate its amino acid sequence into music tone by assigning relative pitches to the amino acid's measured by their molecular weight and salt, acid content. 22 amino acids become a 22 note scale of music in which an infinite amount of melodic structures can be revealed and the artistically expressed into a piece of music direct from The Library of Helixandria. 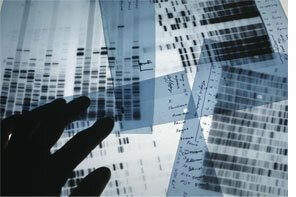 DNA music takes several different forms. My own company Your DNA Song Ltd focuses on the ‘Unique Identifiers' within our DNA where we can amplify the most individual sequence of amino acids that are completely unique to one individual. From this data we can then translate and produce a melodic piece of music wholly specific to that individual, designed and produced to the owner's personal musical taste and style. Another form of DNA we translate into music is MTDNA (Mitochondrial) which is better known as Ancestral DNA and is used by Family Tree companies worldwide to trace the roots of our and many species genetic heritage. Because this particular form of DNA hardly changes except for a few variations over long periods of time, millions of years in fact, it is possible to track these variations and make a map of the lineage of every species that has existed on Earth to the present day. 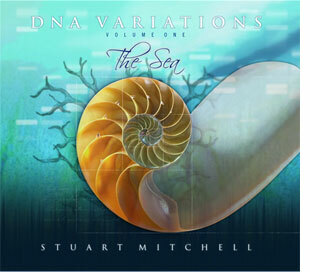 It also appears to a musical ear that mtDNA holds the most melodic musical sequences of all, which is why I am producing three symphonies expressing selected mtDNA music from the 3 environments on our planet, The Sea, The Earth and The Sky. DNA Variations II - The Earth is currently under completion to be released in June 2011.